Guest post by Adams Agalic, currently attending the third training session. It was on the 15th of April, 2005 in Secondary School when I wrote in my small diary that I wanted to become a “computer wizard”, I did not know entirely what it took to become one, nevertheless the burning desire to type fast on the keyboard spurred me on. In those days, can you imagine I used to practice the QWERTY key board by typing on a self made keyboard drawn on a cardboard? It almost seemed like a joke but I kept on. Click: a BBC world service program was one of my best TV program and still continues to be. After Secondary School I had the opportunity at the University of Ghana to study Economics, Statistics, Mathematics and Computer Science in my first year. It was in my third year that I heard of Mobile Web Ghana (MWG). I visited on some occasions during their September Training, 2011 at the ICT Directorate. I found their training sessions very interesting. MWG provided the platform where industry players interacted with aspiring IT Entrepreneurs. Not only did MWG focus on training on the technical skills, but also enable their trainees understand the business side of the industry; which is often disregarded by many. Having armed myself with some basic programming skills in HTML, CSS, PHP and MySql database management, I enrolled for the March 2012, training program. Each training session has been so inspirational; as best put by one of our classmates – Aaron: “This is not just training, it is empowerment”. The internet and the emergence of mobile phone technology provide a fairly leveled playing field for all. The challenge is, how Africa and for that matter Ghana can leverage on this opportunity to promote sustained economic growth and development. A step towards this direction is the allocation of talent. Innovation and creativity are generated out of people endowed with talent. Talented people are able to think and innovate; they create things such as facebook, Microsoft, Apple and many other examples from scratch. The training being offered by MWG is without doubt, a step towards this direction. “Truth be told” there is a lot of untrained talent in Africa; which needless to say, require a lot of training. However, quality training comes with cost. For this reason, institutions and organizations involved in training either provide sub-standard training or avoid it all together. Though there is still some more room for improvement in the training being offered MWG, it still behooves on the many young and aspiring IT entrepreneurs out there to take the advantage of this opportunity to horn their skills. I intend to establish an IT firm in the near future hence; my main objective for enrolling on this training program is to have more insight on the ecosystem of the mobile industry. This, I believe, will direct me towards the trends of mobile technologies and more so the kind of applications that will be suitable to the ecosystem. I am writing this blog in the final week of the training program and it has been so far so very good and enlightening. 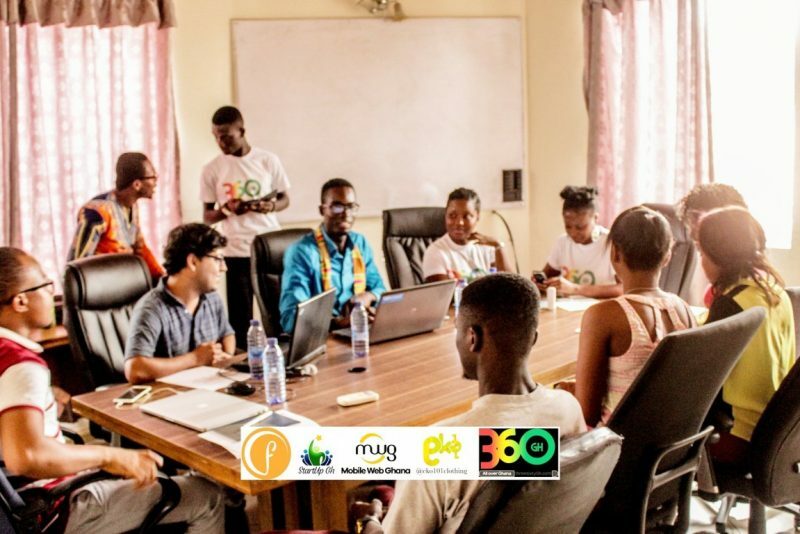 Mobile Web Ghana has been a major spring board which has launched me into the world of possibilities.. With the new skills and ideas I have received from this training, the world is now mine. I am not going to settle.